We would like to thank you for your support of the Richfield Firefighters! The event will consist of both a 5K trail run and a 1 mile walk. Children 12+ under can register for free. They will not receive an event shirt. 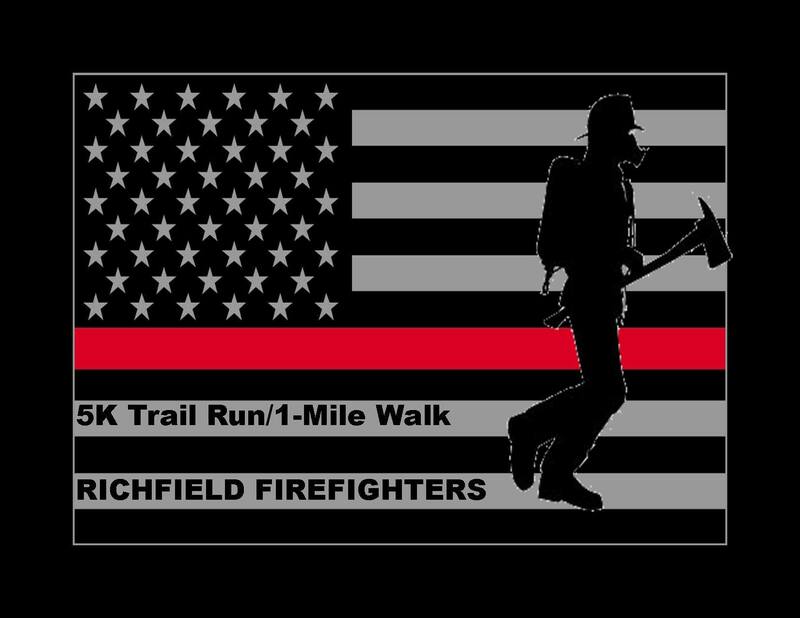 The Richfield Fighfighters 5K Trail run will start at 08:30am at Richfield Heritage Preserve, formaly known as Crowell Hilaka Girl Scout Camp. In addition to the 5K Trail Run and the 1 Mile walk there will be a pancak breakfast for $6.00 per person along with a Chinese Auction. Tickets to both of these can be purchsed on line.